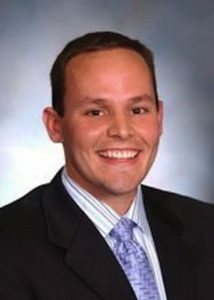 GAINESVILLE, Fla. — The sudden death of Triple Gator alumnus Brian Dassler (BA, MEd ’02, EdD ’16) on March 21 has many at UF, the College of Education, the Florida Department of Education and educators across the nation mourning the loss of the rising “public education superstar.” Dassler died of a natural causes in Tallahassee, where he was deputy chancellor of educator quality for the DOE. Brian still has many close friends and colleagues at UF, where he earned three degrees—a bachelor’s in English, a master’s in secondary education and a doctorate in Education Leadership. Brian twice was named Outstanding Young Alumnus at UF—once each by the colleges of Education and Liberal Arts and Sciences. In 2006, while teaching at Stranahan High School, he was named Teacher of the Year in Broward County, Florida, the nation’s sixth-largest school system. To honor Brian Dassler’s life and career, the UF College of Education has created The Brian Dassler Transformational Leader Memorial Fund to support graduate students seeking opportunities to transform schools and schooling. For more information about the fund or to discuss other ways to honor Brian’s legacy, contact Brian Danforth, director of Development and Alumni Affairs, 352-273-4141. Brian had come to the Florida DOE from New Orleans, where he’d moved after Hurricane Katrina to become the founding principal of KIPP Renaissance High School, a part of the nationally recognized KIPP network of public charter schools. While working at FLDOE, Brian also served on the Council of Advisors at UF’s Bob Graham Center for Public Service. Details of any funeral and memorial service arrangements will be announced as soon as they become available. The College of Education is working to create a memorial fund in Brian Dassler’s name, to support UF Education Leadership students with an interest in education policy.